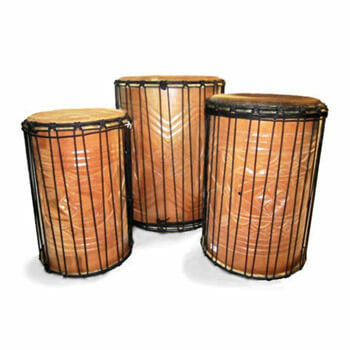 Dun Duns are a set of 3 bass drums that are designed to be played together. Made from Twenaboa wood & topped with thick Cow Skin, with sweet frequencies and resonance, these duns offer big sounds and mega basses. Available with or without carve detailing. The image is a sample – the actual colour, shape and style may vary.